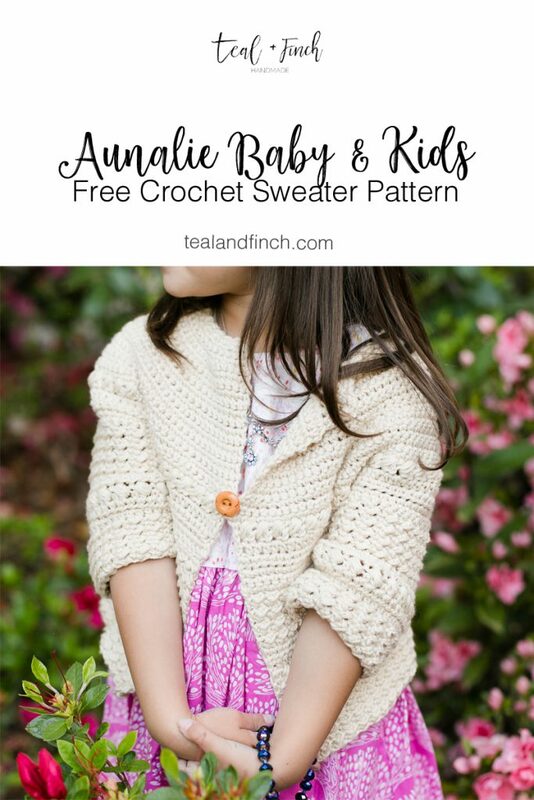 This new baby and kids free crochet sweater pattern is the perfect addition to your little one’s spring wardrobe! This post contains affiliate links, which means if you purchase something from the link, I receive a small commission at not additional cost to you. The textures of this sweater are so pretty. I designed the stitch patterns to be easy to follow and interesting for crocheters of all levels. 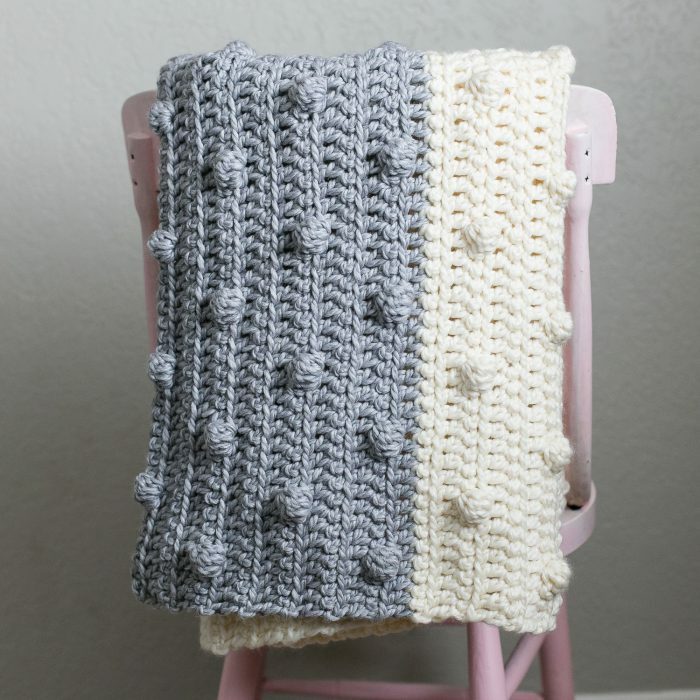 I’m excited to share with you a new FREE blanket pattern and video! This cozy blanket is one of my favorites for snuggling on the couch. It’s big and warm and just the right amount of heaviness. 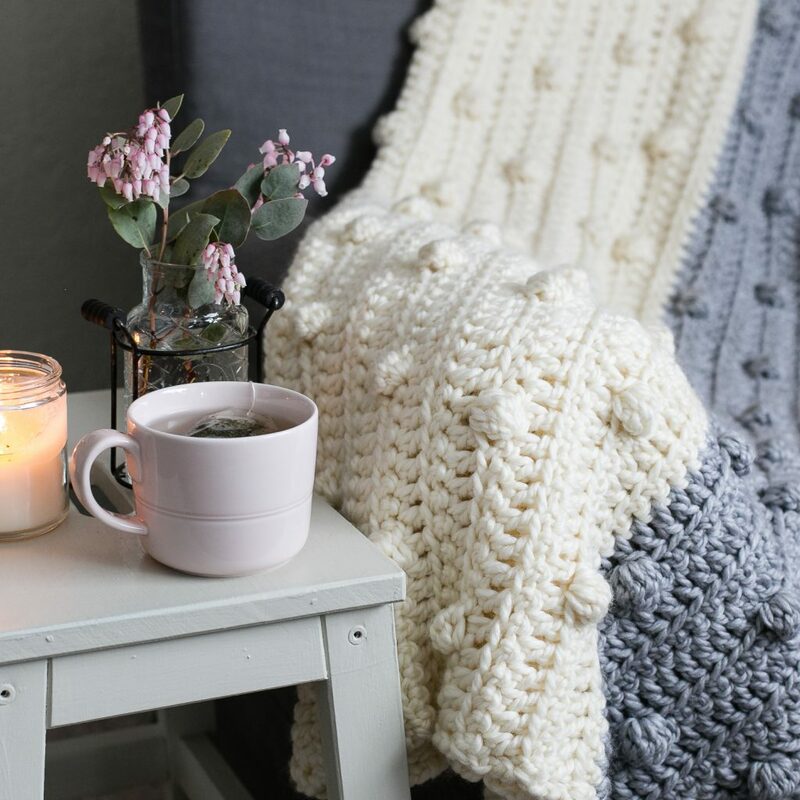 The new free pattern comes with calculations on how to get started if you want to make the blanket a different size. This would make such a cute baby gift! Today I’m excited to announce my newest design: The Hartley Crochet Pattern for women! I wanted to create a sweater that made a bold statement and was a lot of fun to wear. And, I have to say, this one certainly fits the bill! 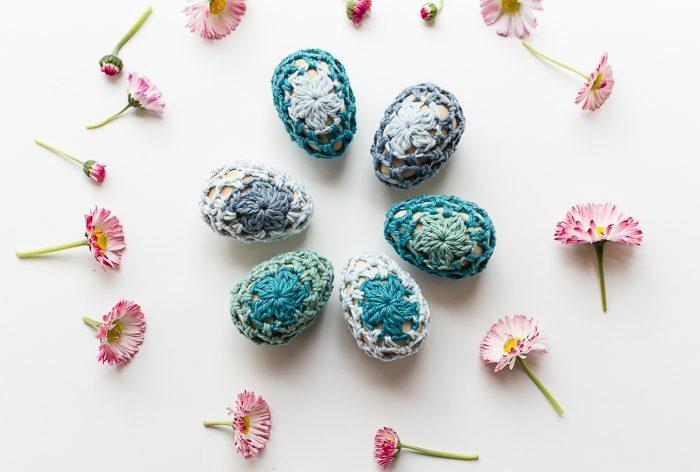 Crocheting bobbles is one of my favorite things…and I knew I wanted to go big with them. I’ve been seeing them around a lot lately and I really like the feminine yet playful look they provide. The Hartley crochet pattern has a circular yoke, which you may have guessed is one of my favorite design techniques. You can try it on as you go and easily adjust sizing for the perfect fit. The pattern has 5 sizes from women’s XS to 4X and comes with links to 6 videos to help you along the way. So a confident beginner could definitely rock this sweater. Purchase the pattern on Etsy. Purchase the pattern on Ravelry. 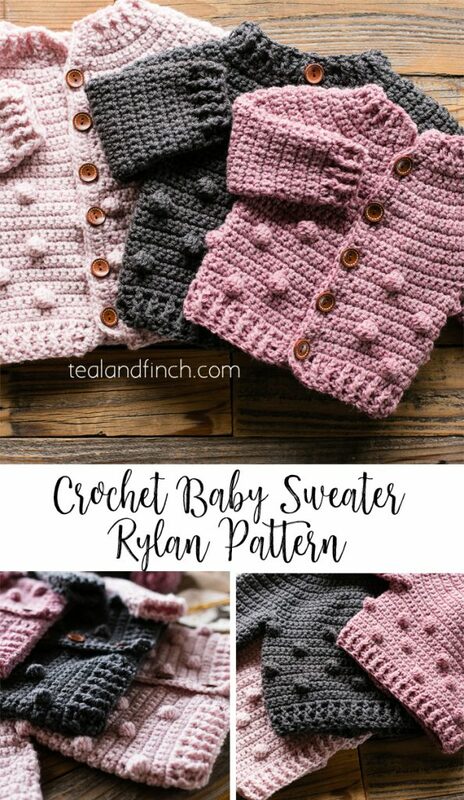 Purchase the pattern on Love Crochet. Want more super bulky sweater patterns? Check out the Cozy Day sweater. There’s one for women and one for kids, too. I have a super warm and cozy pattern for women to share with you today: The Cozy Day Crochet Pullover! Because it’s January and time for some super bulky yarn…even in Northern California… it’s COLD. I love this pullover because it works up FAST and is seriously WARM. The short length makes it even quicker without sacrificing warmth. The Cozy Day Crochet sweater is a drop shoulder pattern, so the front and back are two rectangles. 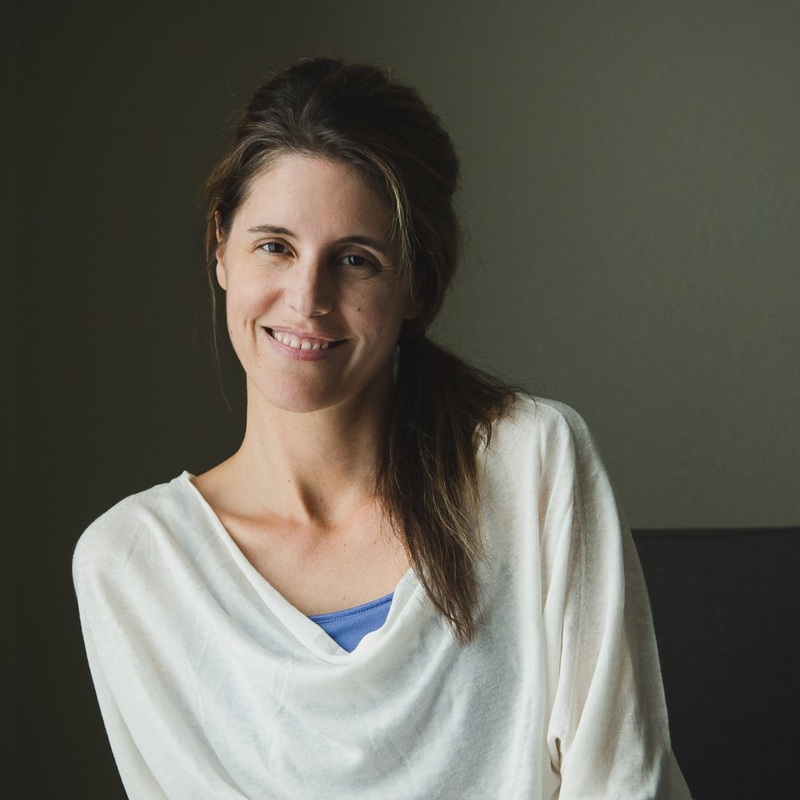 The front neck has simple shaping for a beautiful ballet neckline. There is a link to a video in the pattern to give you a visual of how to work the neckline finishing. You can check that out here. Side vents are easy to create with the back being longer than the front – I just love this look! The women’s pattern includes SIX sizes from XS to 2X. There is also a separate children’s pattern which includes sizes 2, 4, 6, 8, 10, and 12. So you can make one for yourself and a matching one for your favorite little person. Or give them as a gift to the girls in your life. My daughter loves how warm and cozy hers is. Plus of course matching with mom is the best. I hope you enjoy and stay cozy! Share your makes with me on Instagram @tealandfinch. I LOVE to see them! Purchase the Cozy Day Pullover on Etsy. 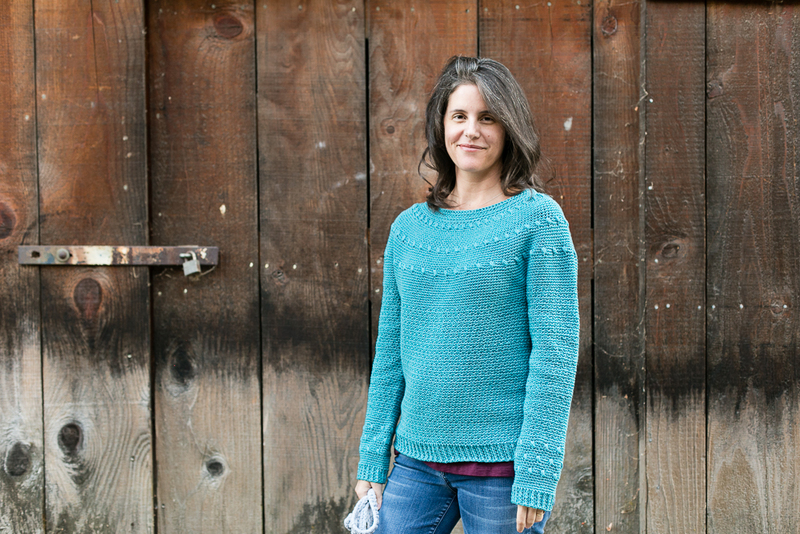 Purchase the Cozy Day Pullover on Ravelry. 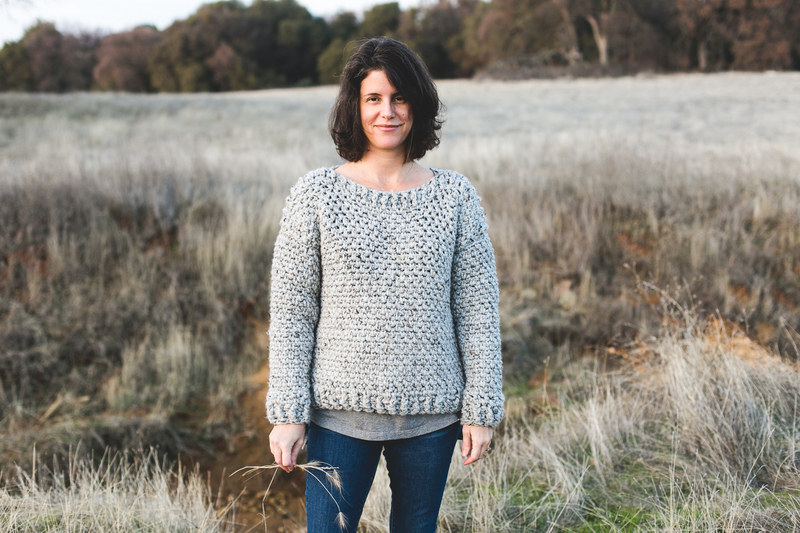 Purchase the Cozy Day Pullover on Love Crochet. 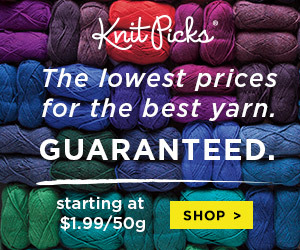 Do you love working with super bulky yarn? Me too! The Snuggle Up crochet sweater is also made with super bulky yarn. 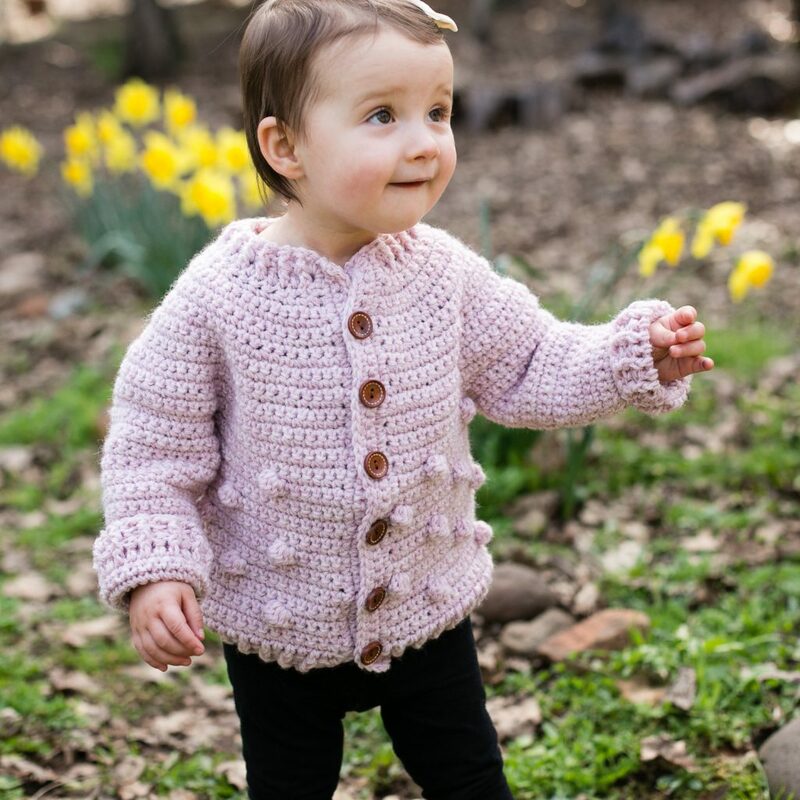 I have a fun new pattern for kids to share with you today: The Willow Crochet Cardigan for babies and kids! I wanted to make a long cardigan for my daughters. I think they see my long sweaters and wish they had one too, so I decided to make one that went past their hips that they could wear with jeans. 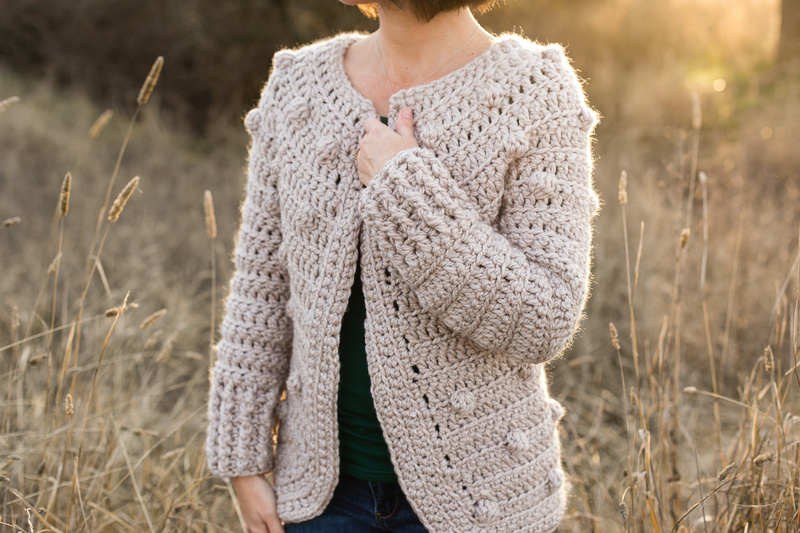 The Willow cardigan features simple crossed double crochets worked with DK weight yarn. I used squishy soft merino, my absolute favorite type of yarn. I love the way it squishes and it ends up being so warm and cozy. 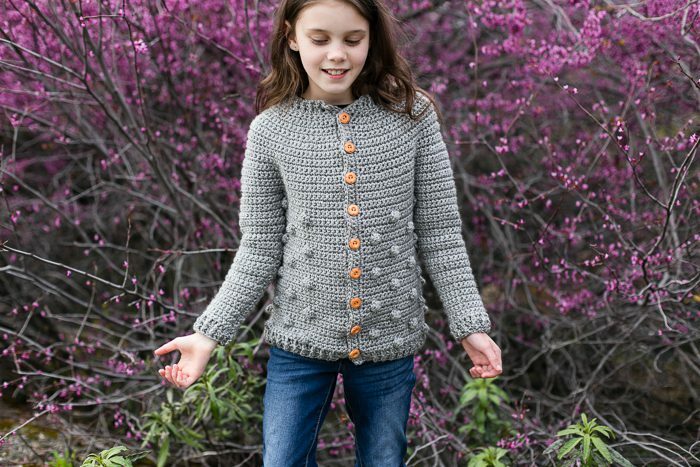 The circular yoke pattern is great for kids because you can try it on as you go. My daughters always cringe when I need to try it on them *again* but they are used to it by now! 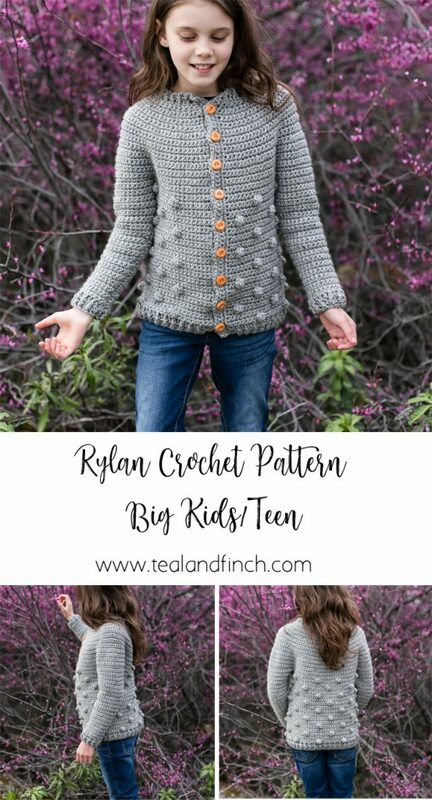 The The Willow Crochet Cardigan pattern includes SIX sizes from babies to youth 14, so you can make one for all your favorite kiddos. I hope you enjoy! 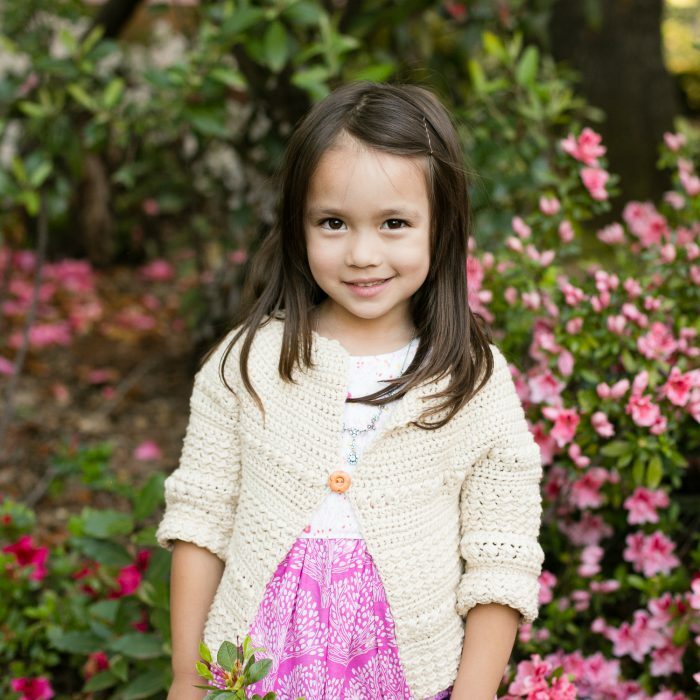 For more crochet patterns for kids, check out the Dahlia Sweater, it’s one of my most popular! Hi Crochet Friends! 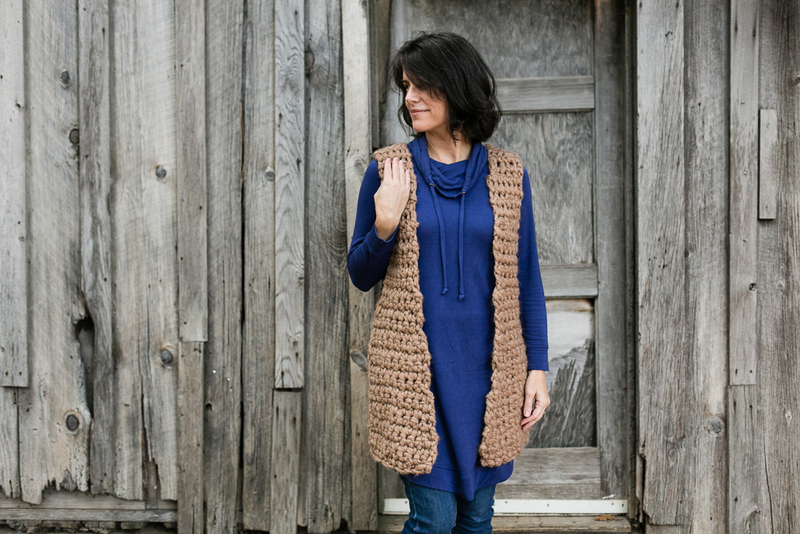 Today I’m happy to share with you a new crochet vest pattern in 3 sizes made with jumbo yarn. This layering piece made from jumbo/giant yarn is a quick and easy make! I love it for wearing over other sweaters or just with a t-shirt and jeans. The pattern includes three sizes: child, women’s regular, and plus size. As you can see, the vest has a loose fit and can be worn with 4-10″ positive ease. 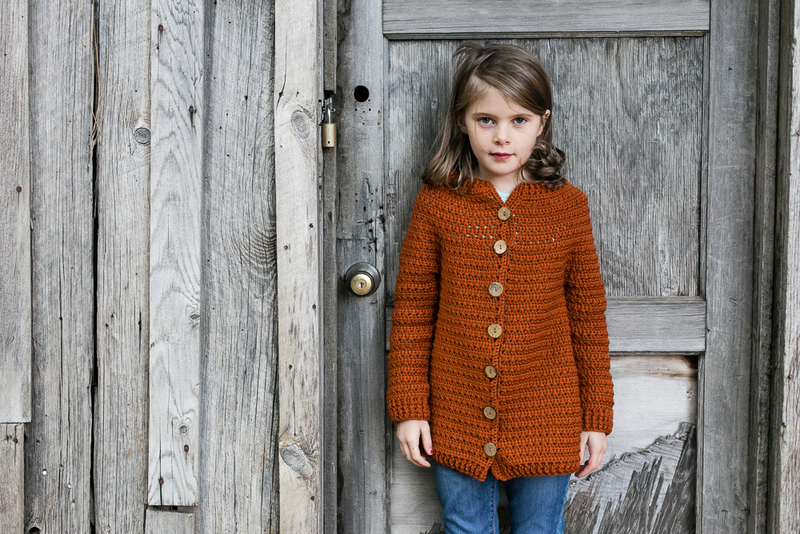 The beginner-friendly pattern is easy to follow and great for fall/winter layering. I hope you enjoy and share your makes with me! Buy the pattern on Ravelry. 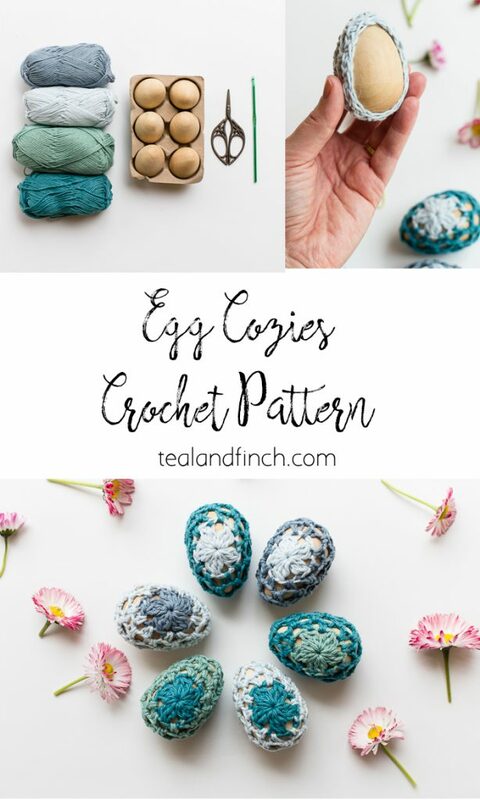 Buy the pattern on LoveCrochet. Share your work on Instagram with #tealandfinch. P.S. If you love super bulky yarn and want to make yourself a sweater, take a look at the Snuggle Up Sweater. It’s one of my most popular designs! 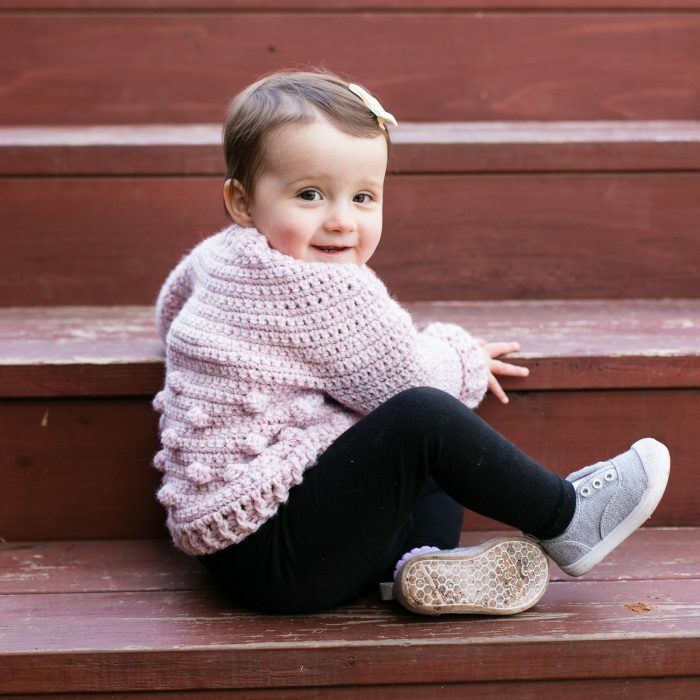 Today I’m excited to share with you an update my Dahlia crochet sweater pattern! I love this sweet sweater with the layers of puff stitches around the neckline. The wrist puffs just add that extra finishing touch to make this sweater really special. You can see all the features and details in the original blog post that came out when I first published the Dahlia pattern. Not much has changed, just a few tweaks here and there. The changes focus mainly on the women’s sleeve and a small adjustment to the body and sleeve division. Did you know there’s also a baby version of the pattern? The Dahlia baby features a back neck slit with button closure to accommodate baby’s head. So you can truly make this sweater in just about every size.